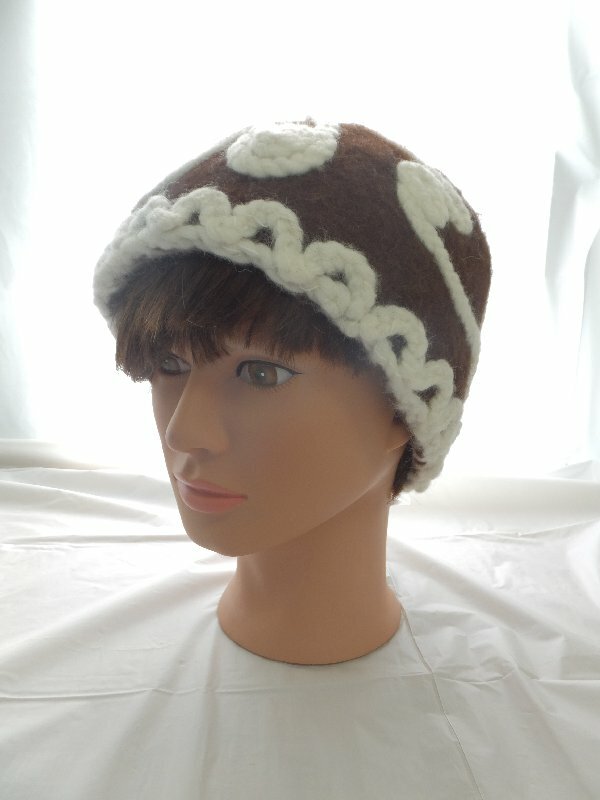 This is a hat for an ice cream outing. 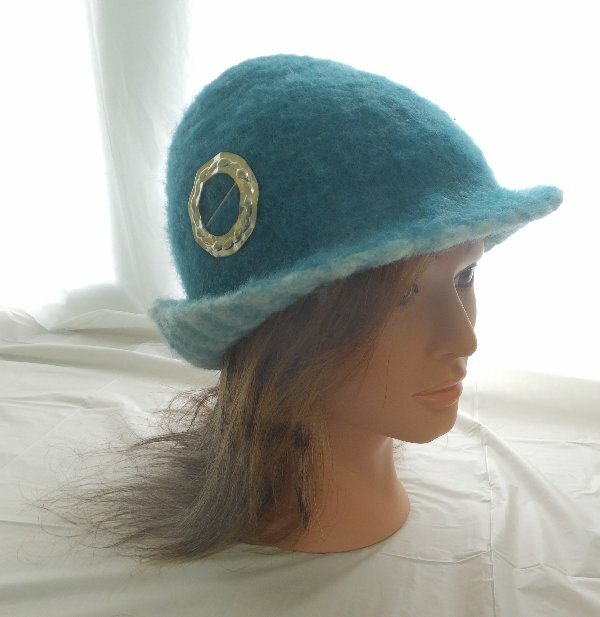 It’s soft and purple and sparkly – just perfect for a little lady with golden curls and a sweet tooth. 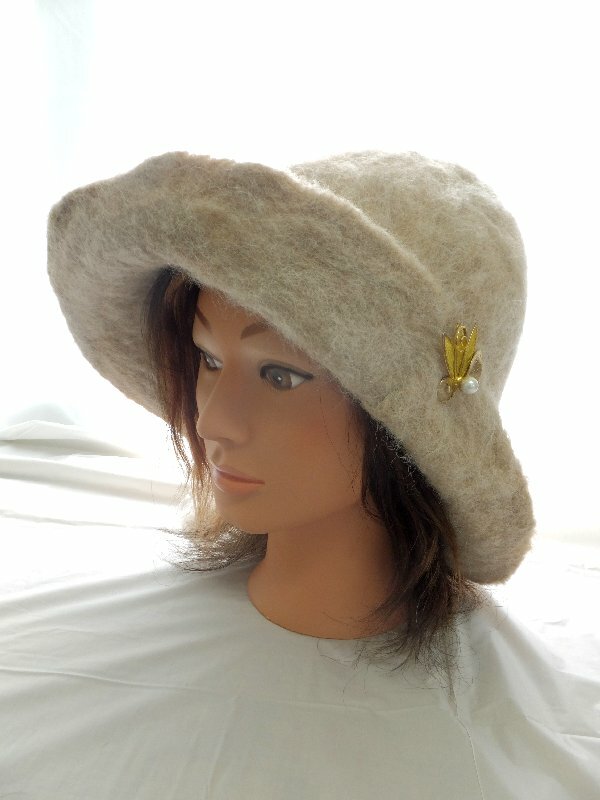 Judy custom made this alpaca hat with a pony tail pook and adjustable head band. Time for an ice cream date! 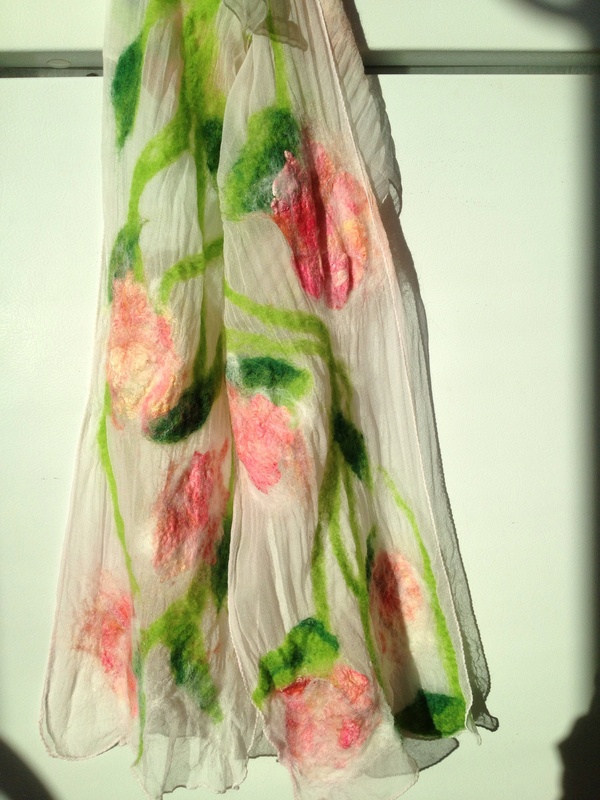 Warm yet delicate, a Nuno felted scarf is a lovely accessory for any outfit. The process is delicate in many ways as well (see the previous post to see how the felt is laid out on the silk), but it also involves an electric sander! 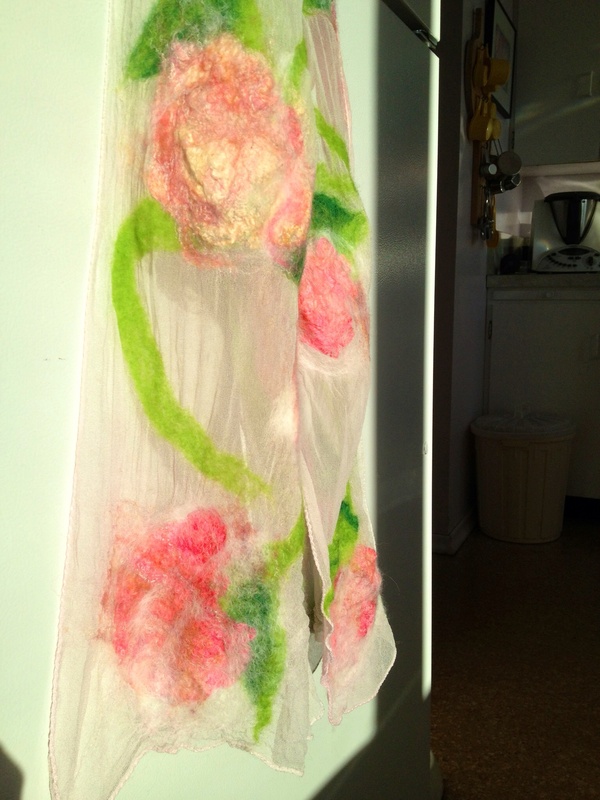 Here’s Judy’s Pastel Swirls scarf in the making. 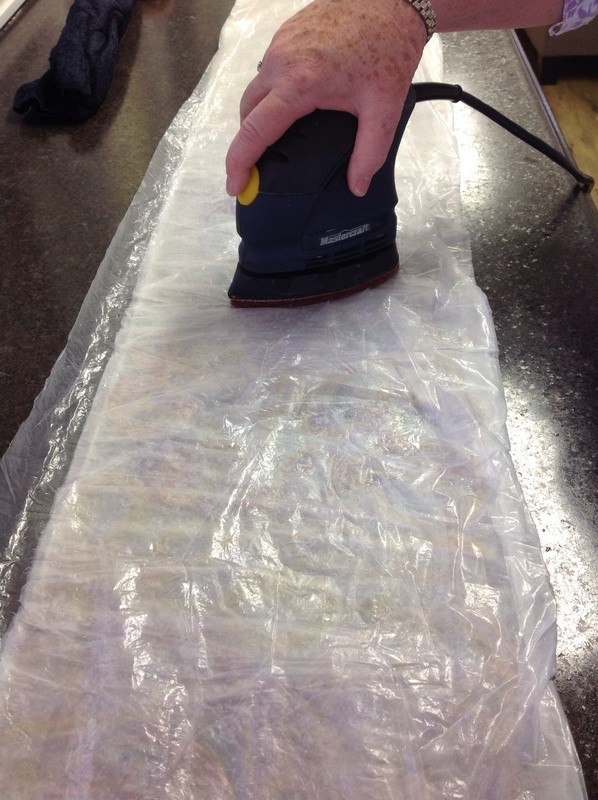 Sanding encourages the wool fibres to work through the silk. 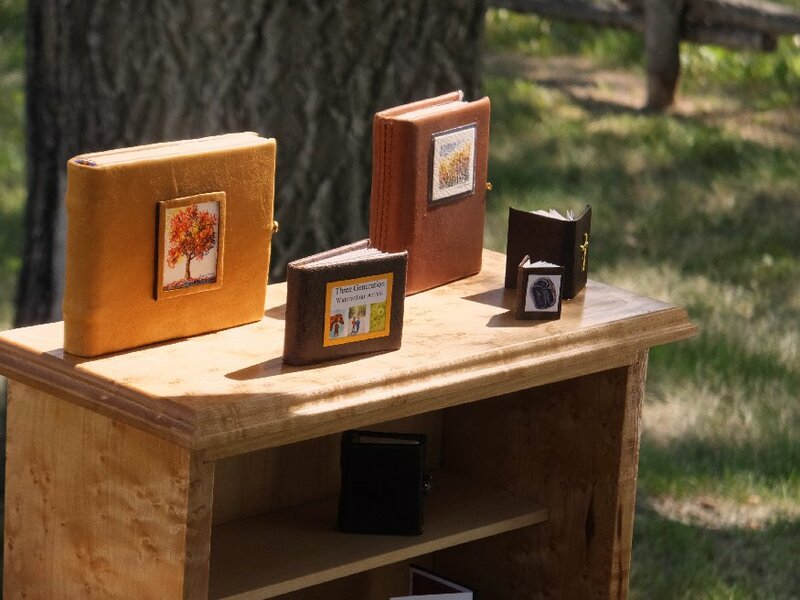 Books in the sun 🙂 It makes me want to sit under a tree and draw something to fill these books… or just look at the pictures. 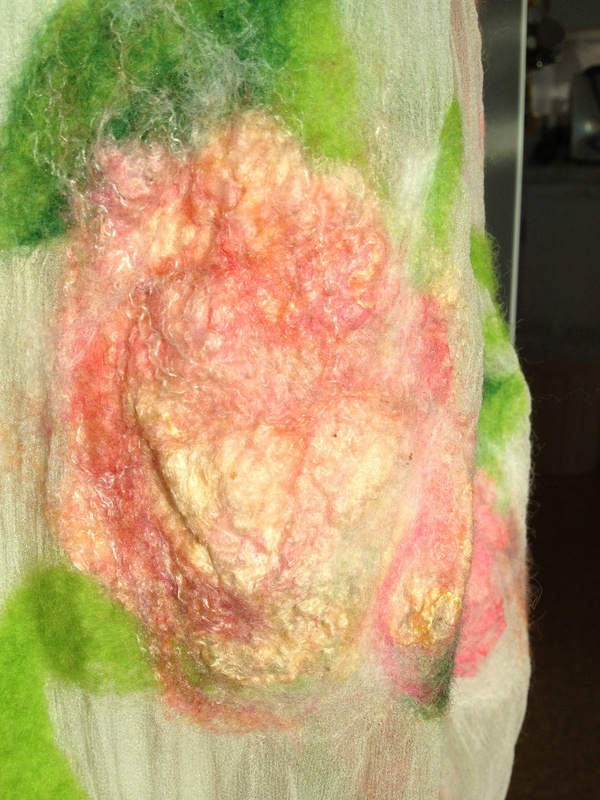 Judy spent a day making this silk and wool scarf from scratch, from hemming the silk to dying the wool and the hard physical labour of felting the flowers (I don’t know how she does it, sorry!). The pink flowers are made from what is called silk hankies – squares of raw silk. 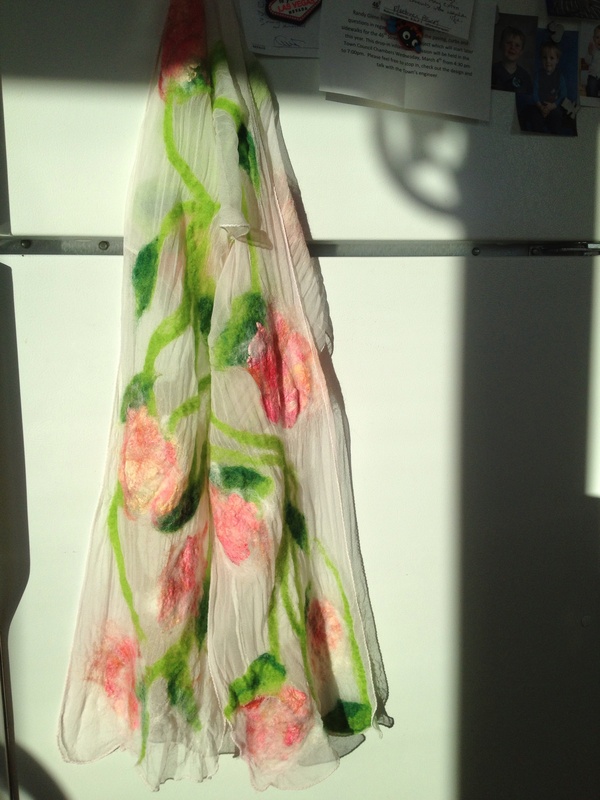 It adds a shimmer of silk, just like a real flower petal. 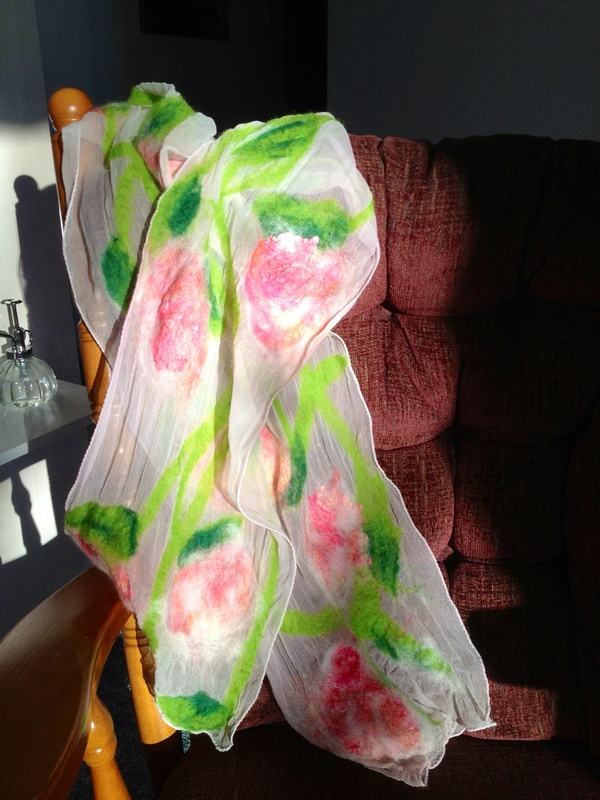 The scarf is light and airy, bright and beautiful… perfect for spring! 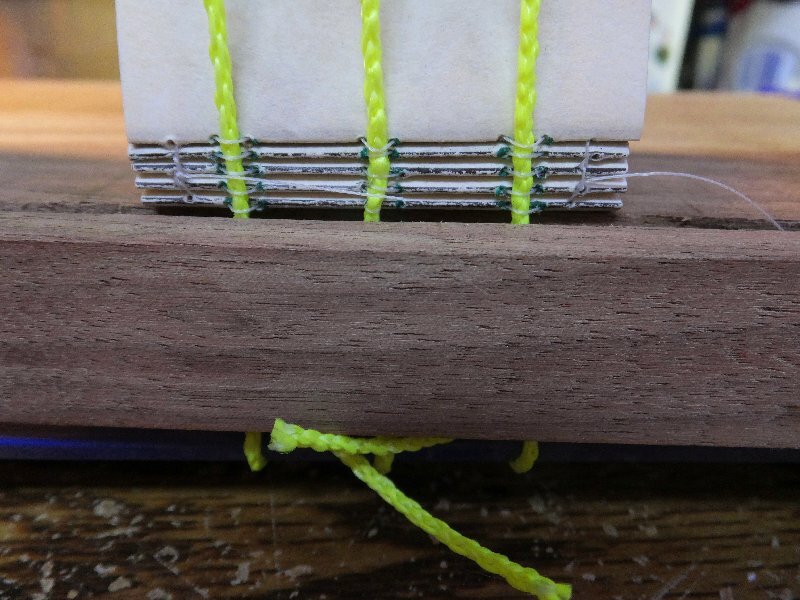 Dad made me a book loom for Christmas! 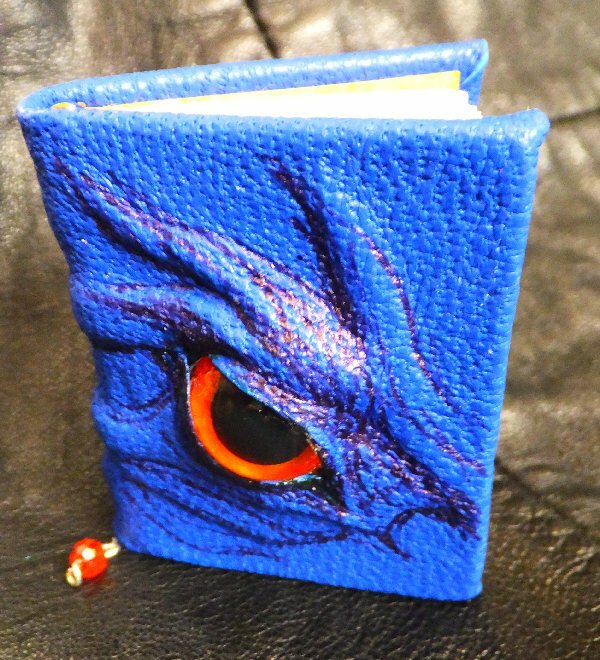 I can make any size book, so long as it’s miniature. 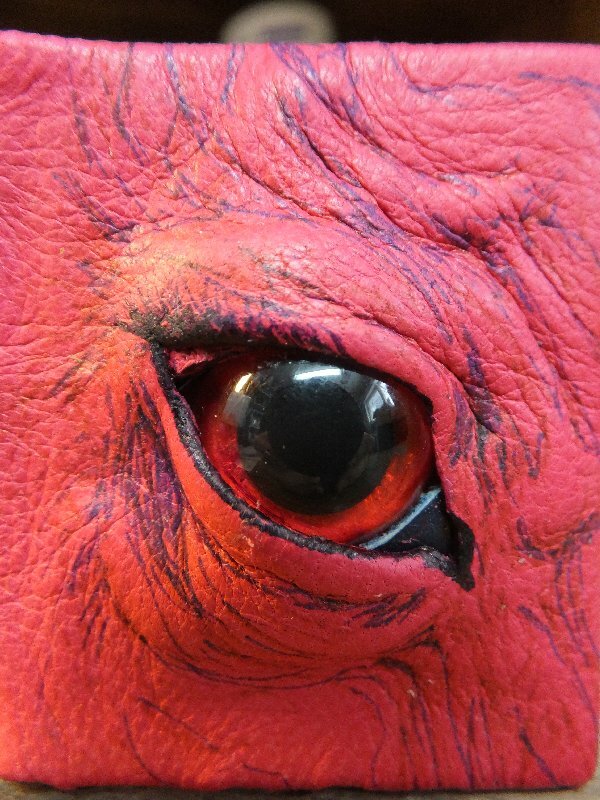 The first one to hit the ropes was a Dragons, because that was what I had cut and ready for binding. 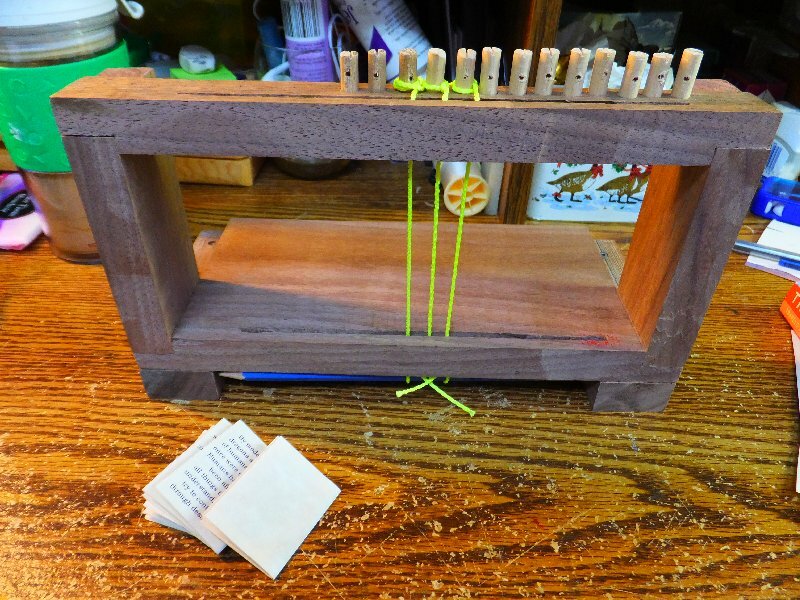 The loom is made of mahogany with adjustable pine pegs. My first attempt is not elaborate, but it worked well. A bigger book offers more interesting opportunities for binding. I enjoy figuring all this out by trial and error! The finished Dragons. Pink leather is difficult to find. 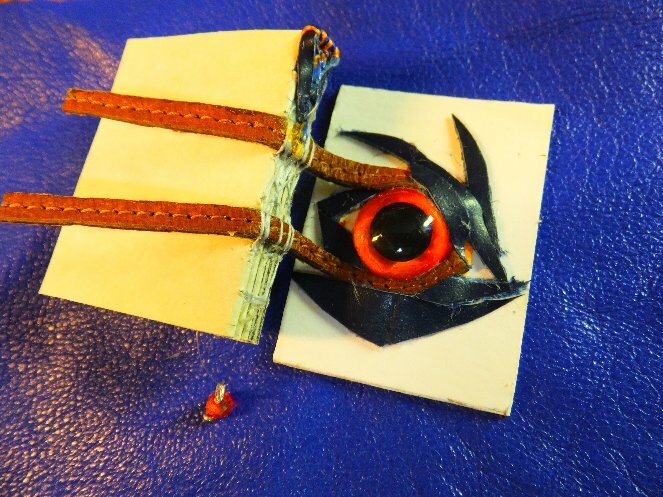 This piece, a strip just wide enough for the under two inch Dragons cover, was once part of a small purse. Judy hit the jackpot when Carolyn spotted these cosmetology training models at a thrift store. She had the one on the left, from another thrift shop, before. 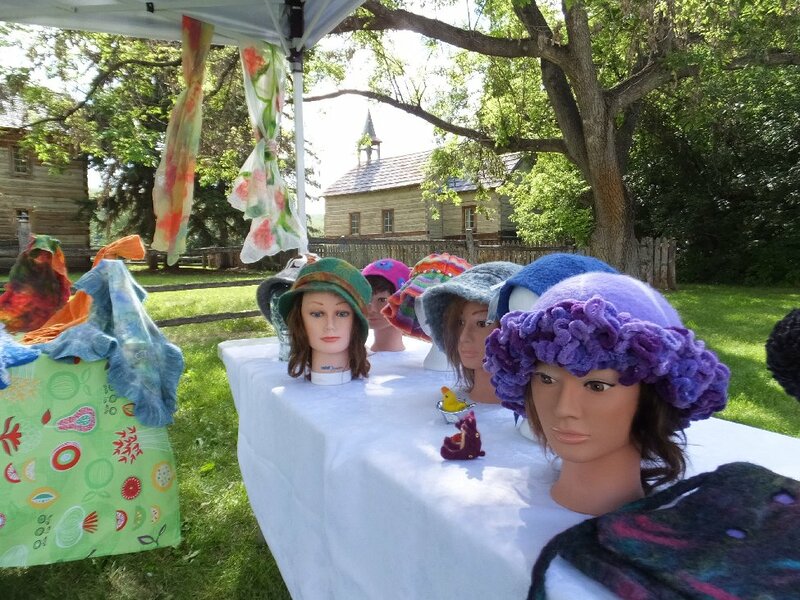 The new girls needed a bit of cleaning up, including bobby pin removal and a good wash with shampoo and Goo Gone (yes, that one with the makeup had something awful holding her wave in place). Finally a good brush, which took two hours for that one with the makeup, and the girls are looking presentable. 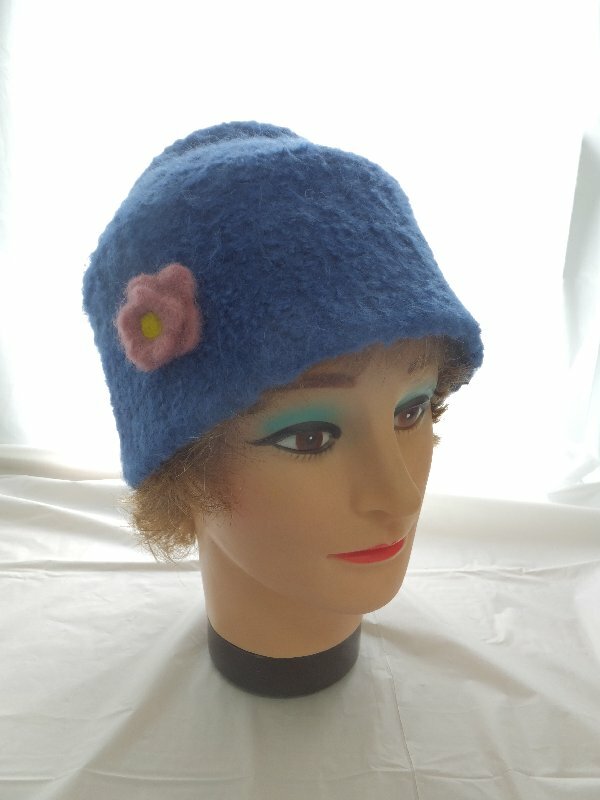 Especially in their hats! They’ll be ready for the show in Fairview. I haven’t made a book for a while so when I started one I made sure it was more difficult than usual. 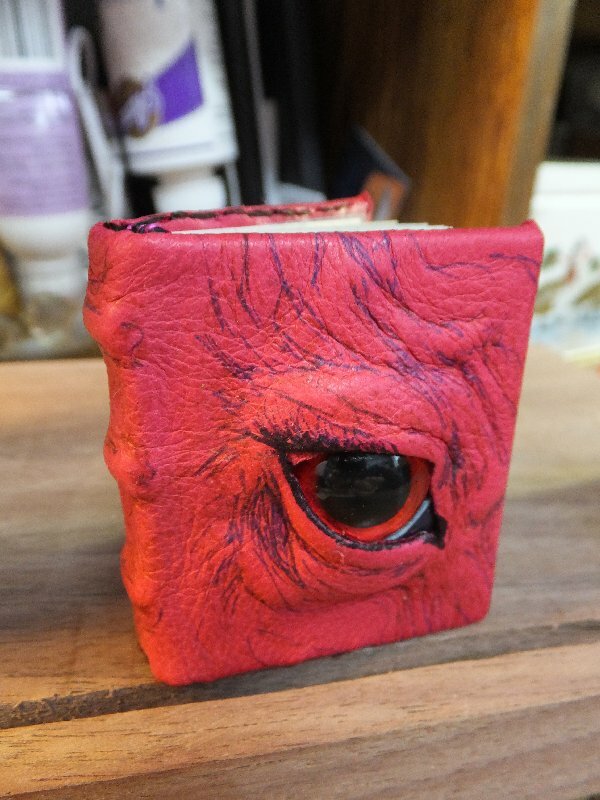 It’s another Dragons book, but this one has the binding becoming part of the sculpturing around the eye on the cover. It’s an undignified thing to do do a dragon, but I’m going to expose this one’s “guts” so you can see what’s going on. It looks like something Dr. Frankenstein or Honore Fragonard might be working on. Once the skin is on, of course, things start to look a lot more normal.